The Manly Andrew 'Boy' Charlton Aquatic Centre is located on 1 Kenneth Road in Manly. Named after Andrew Murray Charlton, a Manly raised freestyle swimmer in the 1920s 1930s. The centre was recently reopened in August this year after a large refurbishment. Our favourite part of this amazing centre is of course the children's area where little Miss and her brother love spending a couple of hours at a time playing there. Little Miss loves going down the slide, playing under the jets, having a bit of a swim and splashing everyone of course! 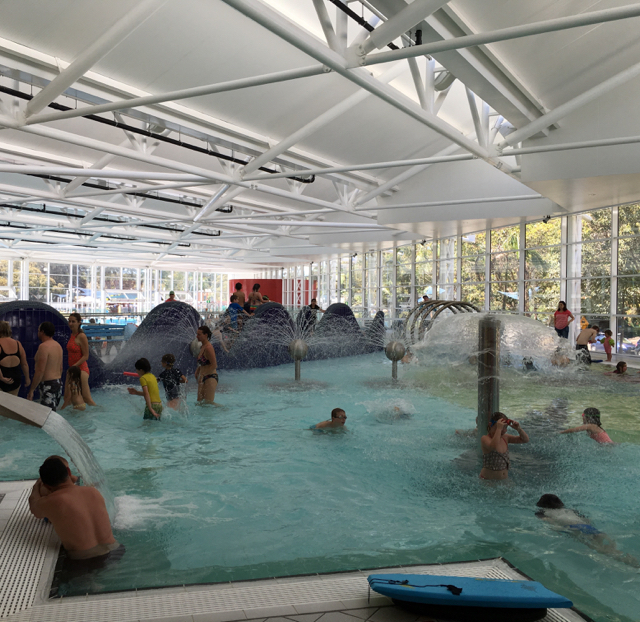 If like me you don't feel like swimming sometimes, not a problem, the children's pool is fully covered and there is a café in the centre with coffees and food at reasonable prices so you can relax while dad takes care of the little ones in the pool (I know cheeky right!). Or head outside to have a picnic or do some sunbathing and more swimming in the large lap pool. Or spend time in the children's outdoor play pools which we love too! 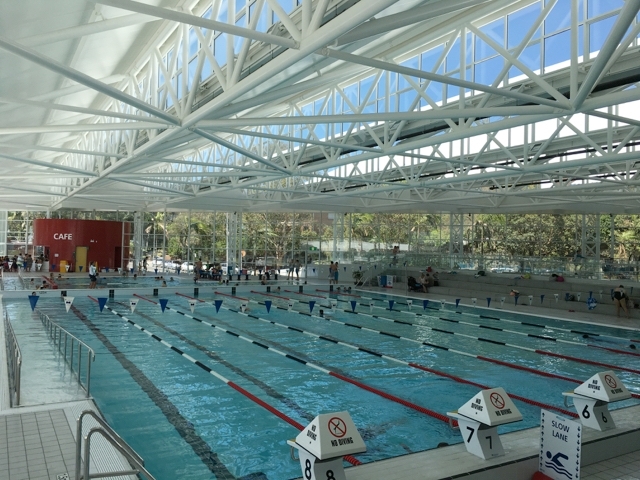 For more info about the Manly Andrew Boy Charlton Aquatic Centre, head to their website. For more pools and beaches, head to our dedicated page.